Another chilling mystery for zombie P.I. Dan Chambeaux - this time, an original audio short set in a truck stop. 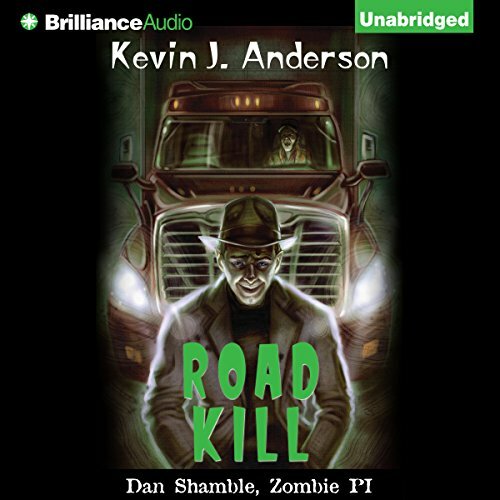 Fun road trip with zombie P.I. I really enjoyed this light supernatural mystery. The zombie detective takes cases in which the living have troubles with monsters, monsters have trouble with the living or monsters have trouble with monsters. But now Shambles has his own trouble. He wakes up in a nailed coffin in the back of a semi. How did he get here?